The Presonus AIR15S is a Subwoofer for any system, optimized for PreSonus. Designed to complement any full-range PA loudspeaker and a perfect companion for the PreSonus AIR10, AIR12, and AIR15, the AIR15s subwoofer delivers a powerful, clear, and accurate low-end punch. With its 15-inch low-frequency transducer, driven by 1,200 watts (dynamic) of Class D power, it provides detailed bottom end down to 35 Hz. Yet it is portable and suited for mobile applications, as well as installed systems. 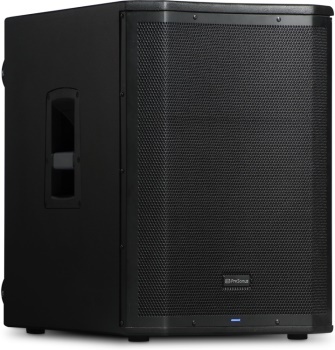 Although it has a rugged, tour-grade birch enclosure, the PreSonus AIR15s is much more compact and lightweight than you’d expect from a subwoofer that can deliver this much power. With integrated provisions for the included caster kit, ground-stacking provisions, and ergonomic handles on both sides, it’s easy to transport for mobile applications, while offering the features and performance needed for demanding installs. The AIR15s sports two combo XLR and Â¼” TRS line-level inputs with level control, and throughputs are provided to connect full-range systems or multiple subwoofers in larger systems. You can even defeat the front power-indicator LED for low-visibility installs.